Dig for gold or diamonds with this miner hard hat! 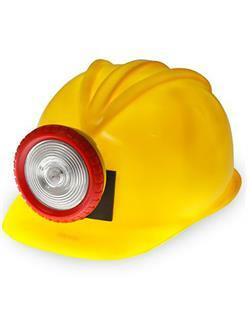 The attached light will help you find your way around underground and requires two separate AA batteries. The helmet itself is made of hard yellow plastic and looks and fits like any standard construction helmet.